Directions: Getting to Cambodia is the hardest part--it's a long trip from most anywhere. The airport at Siem Riep is very easy to deal with though, and if you book your trip through one of the major resorts they will probably pick you up at the airport. 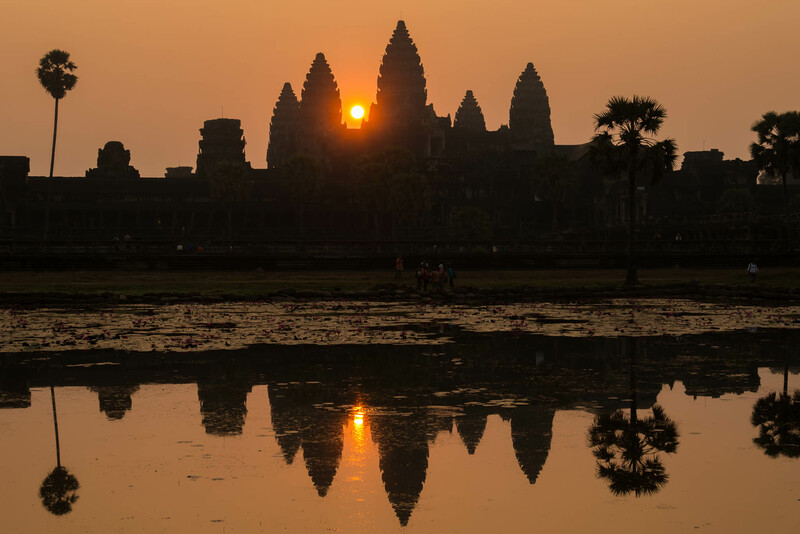 Getting around is primarily by tuk tuk, and all of the drivers will be able to take you to Angkor Wat without any issues. This is an incredibly well-visited area, and getting in position for a good shot with a minimum of people in it can be challenging, to say the least. The prime sunrise spot is generally mobbed with tourists, and to some extent you’ll have to just accept having some people in your shots. I didn’t bring a tripod but it is allowed, although I wouldn’t recommend it–you won’t have much room to maneuver. 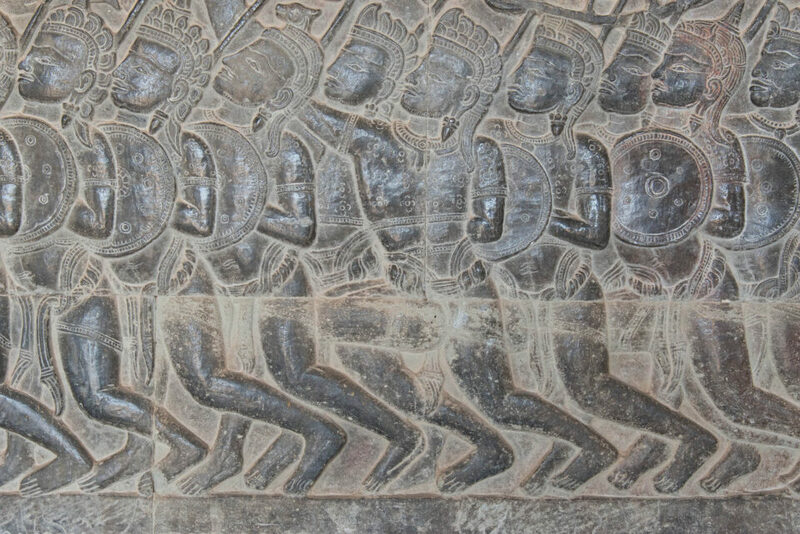 Some of the coolest pictures of Angkor are details of the bas relief carvings or quiet side corridors, so you should definitely take a while to explore all of those things. For the main reflected sunrise view as depicted in the main image, you’ll go across the initial moat, and about ¾ of the way to the inner keep. On the left you’ll see the reflecting pool, and about 200 tourists. With some persistence and pointy elbows, you’ll probably get to the front for at least one shot. There are two seasons in Cambodia, rainy and dry. You will want to go during the dry season. Don’t even contemplate going in the wet season, as most places completely shut down and the rains can be truly torrential. For lenses, you will want an ultra wide and a standard zoom. A fast prime can be helpful too since you’ll be doing low light work without a tripod. 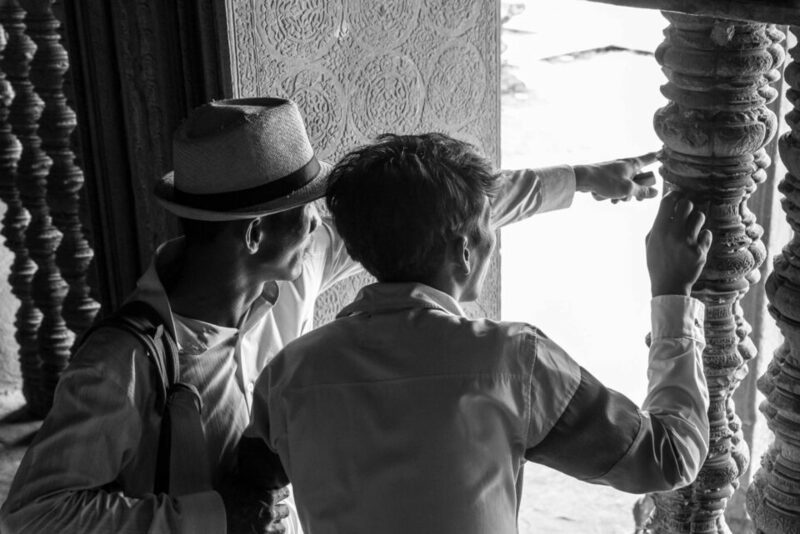 There’s ample opportunities for street/documentary photography too. 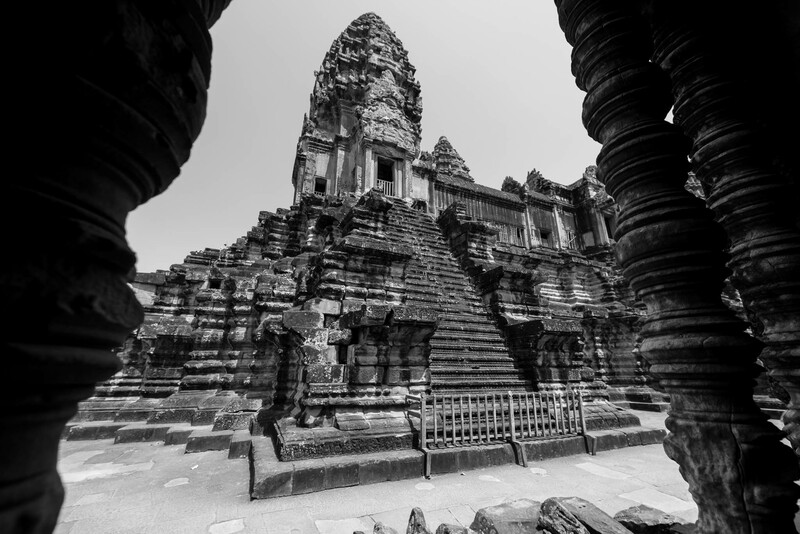 Finally, while Angkor Wat is the most popular site, get the locals to guide you to some of the less well-known places. You won’t have to fight the crowds, and some of them offer better photo opportunities, especially at sunset. Hello, I just wanted to confirm that you are allowed to bring a tripod into these temples? yes, it is allowed. but I recommend against it in general, as you won’t have much room to maneuver. I’ve heard stories of some people being hassled by guards or locals for using tripods but I didn’t see this when I was there. I just found this handy tool to help located the direction of the sunrise. I use the photographers ephemeris to figure out that kind of thing. And yeah, wet season may not be the best time to visit for several reasons. Then again, if you get lucky the right storm could result in some really cool light.